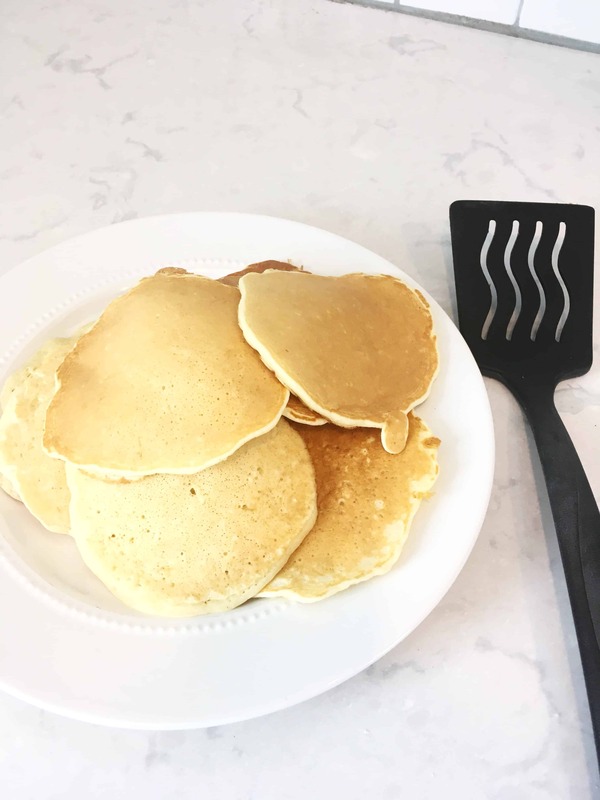 I love to make my kids pancakes for breakfast! They are easy to whip up, VERY cheap to make, and always a huge hit with everyone in my family. The only problem is that I am extremely picky about my pancakes! I have spent YEARS (seriously.) trying dozens and dozens of different pancake recipes. Some have been to sweet, others have ingredients I don’t commonly have in my house. 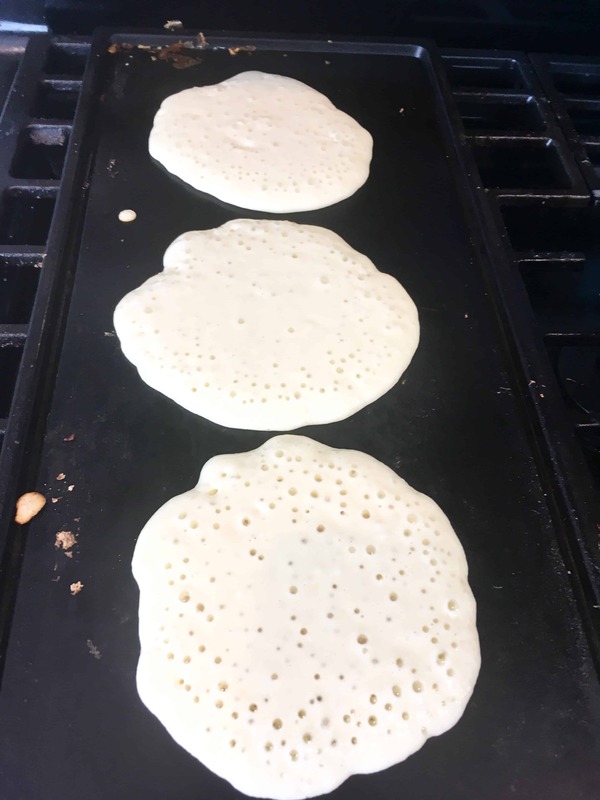 A few of the recipes had pancakes turn out way to flat. I came across this recipe about 8 years ago…and we haven’t looked back since! 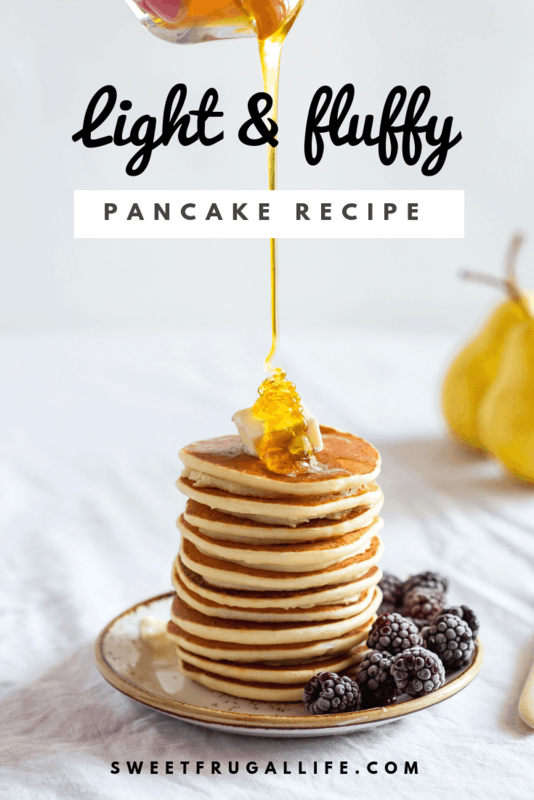 The pancakes are easy to make, ingredients are always stocked in my cupboards, and they turn out light and fluffy every single time! It is a winner! In a large bowl stir all of the dry ingredients together. In a separate bowl mix the oil, eggs and milk. Add wet ingredients to dry ingredients and stir just until mixed. Pour 1/4 cup batter on hot griddle. Bake until bubbles appear. turn. Bake the other side until golden brown. I often don’t have buttermilk in my house when I make pancakes so instead I put 4 tablespoons of white vinegar into the 1 1/2 cups of milk and let it sit for 5 minutes. It gives you the same fluffiness as buttermilk but by utilizing what I always have stocked in the pantry.